Here at MedRevise, we love giving stuff away! This month we have 4 cool items for our readers! 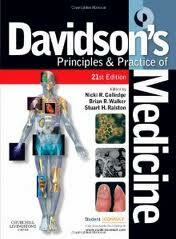 Davidson’s Principles and Practice of Medicine provides up-to-date detail of contemporary medical practice, presented in a style that is concise, beautifully illustrated and easy to read. It also explains it in the context of underlying principles, basic science and research evidence, and shows the reader how to apply their knowledge to manage patients who present with problems rather than specific diseases. Find out more about it on the Elsevier website. 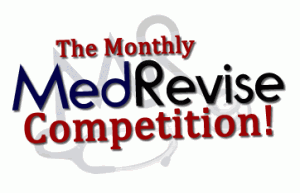 Pastest Medical Student Online Revision features 3271 exam theme questions in MTF, SBA, EMQ and OSCE formats, plus data interpretation, so there’s more than enough to keep your brain ticking over. Find out more about it on the Pastest site. The Oxford Handbook of Critical Care describes best practice of critical care in a succinct, concise and clinically-orientated way. Covering the principles of general management, it includes therapeutic and monitoring devices, specific disorders of organ systems, as well as detailed information on drugs and fluids. Win your own copy this month! Find out more about it on the OUP site. The Online Guided Gross Anatomy Dissector. Win a years subscription to over 2,000 original photographs of cadavers and 25 dissection videos, enabling students to gain much needed experience of human anatomy as it applies to real bodies. Find out more about it from the Palgrave website. Do all 4, and you get entered into the prize draw four times! Not bad at all, eh? 5 Responses to October Competition!